Mauritania, which used to be a french colony, then became an Overseas Territory until its independence in the beginning of the 60s is one of the countries that are less often mentioned when people think of travelling to Northern Africa. Even though its tourism industry, or maybe because actually, is less developped than the one of its neighbours, Mauritania really should be discovered. This country, meeting point between the Maghreb and Sub-Saharan Africa, really should be the next on your list! Here are some of the many activities can only be done here! 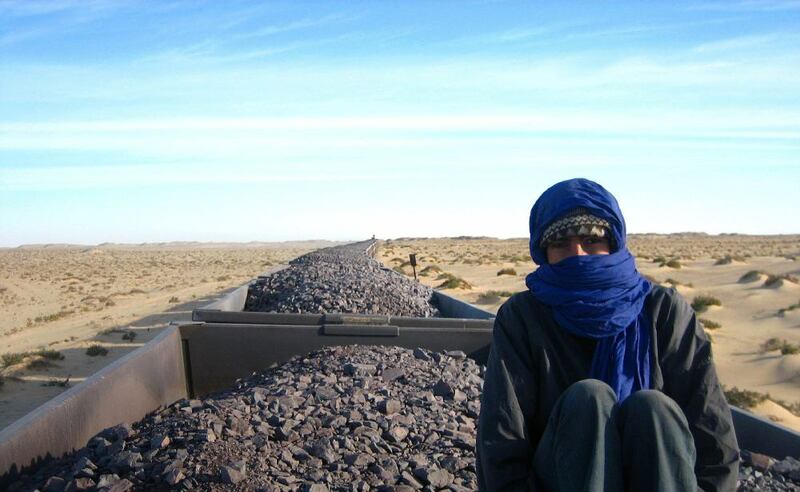 The iron ore train of Mauritania is one of the longest trains in the world. The train has a length of over 2.5 kilometres, with over 200 wagons containing over 84 tonnes of iron ore each. That’s already something most train enthusiasts will want to see. What about if I told you that you can actually come onboard and do the trip? It seems like a crazy thing, sitting on top of a iron ore carriage going through the starry night. It is, however, a pretty common thing for the locals to do. The train is free to ride and you are let to your own devices, it’s not an official thing. However, you’ll meet numerous locals really eager to meet you and help you, amazed that you chose to travel like that! Most people riding the train, ride it from the small village of Choum all the way to Nouadhibou, the second biggest city of Mauritania. You can expect to end the trip covered in iron dust, so you might want to bring disposable clothes. We can’t promise it will be comfortable either, but what an experience! Chinguetti is an ancien city which was founded around the 8th century, while the region was under the rule of the Iznagen confederation, a group of berbers. This place was of utmost important for the ancient muslims pilgrims, who would stop here on the way to Mecca. This city was also an important hub for cultural and scientific knowledge at the time. Here, in the numerous schools around, were taught law, astronomy, mathematics and medicine amongst many other. Today, Chingetti is largely abandoned but under the protection of the Unesco. The streets of Chinguetti haven’t changed much in the last centuries and it is possible to visit them freely. Contrary to sites that you would find in the neighbouring countries such as Algeria and Maroc, you can expect to have the site for yourself, without having to run away from peddlers and the crowds. Sadly, Chinguetti and its librairies are slowly being swallowed by the Sahara. A reason to visit it right now, before it is too late! The oasis of Terjit, nearby the city of Atar, is a must for any travellers in Mauritania. It is a place of incredible beauty and also an important historic site, as many african princes were crowned here. Many important weddings which formed the important alliances of Africa happened here. In Terjit, it is possible to rest the old way. On a carpet, under the starry sky of Sahara, just like the nomads of bygone years used to. Like in most nomadic cultures, hospitality is of the utmost importance for the Mauritanians. As a people of the desert, mutual aid was often a matter of life or death for Mauritanians throughout history. Travellers were often depending on the board, water and food of the hosts they would stumble upon. While Mauritanian society is changing very fast, these traditions are here to stay. In fact, you can expect great encounters wherever you’ll go and get more than your fair share of tea and sweets from the locals. In Mauritania, tea must be drank at least three times per meeting. It is said that the first cup is strong, like life, the second cup is sweet, like love and the third one soft, like death. Due to its colonial past, many Mauritanians can talk French as well as Arabic. Also, the interest for English is growing and it isn’t as hard as before to find English speakers. The coast line of Mauritania is truly a breathtaking place. Of a length of over 754 kilometres, it is a place where the most typical sceneries of the Sahara bump against the Atlantic Ocean in a sea/desert clash of the titans. It is also the most developed part of Mauritania. After a trip in the desert rich in emotions and adventures, it is very nice to chill down for a bit around this part. Even though this part of Mauritania is more relaxing, don’t go thinking it is devoid of attractions more on the funky side. You can see the biggest ship cemetery in the world. It is an incredible site for urbex and mind-blowing photos. If you were wondering about how to visit Mauritania, why wouldn’t you join our group on a Saharan Odyssey with Young Pioneer Tours?